Acknowledged author wrote Personal Financial Planning comprising 704 pages back in 2016. Textbook and etextbook are published under ISBN 1259277186 and 9781259277184. 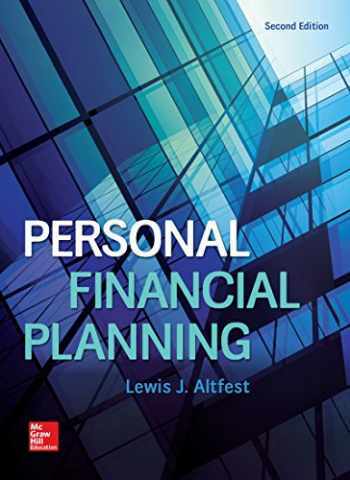 Since then Personal Financial Planning textbook was available to sell back to BooksRun online for the top buyback price of $20.51 or rent at the marketplace. Personal Financial Planning uses an original framework to make the material comprehensible to students while simultaneously providing a platform for further research and innovation within the discipline. Altfest's Total Portfolio Management approach, combined with an ongoing integrated case study, provides a unique take on this important subject.